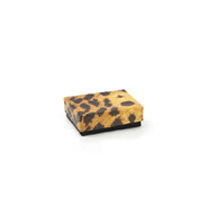 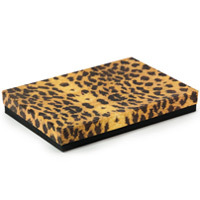 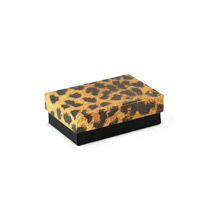 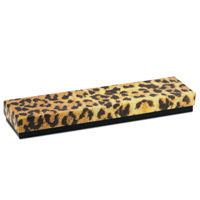 These leopard print jewelry boxes are perfect for packaging jewelry or small gifts. 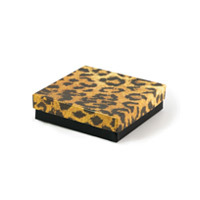 Jewelry Boxes are filled with white synthetic cotton and are available in seven popular sizes. 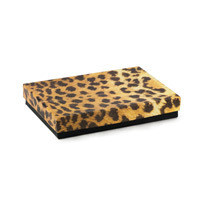 They are great for jewelry stores, jewelry trade shows or home shows. 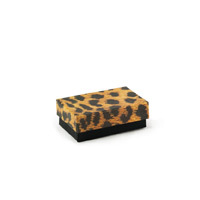 Boxes are sold individually or by the cases pack of 100.